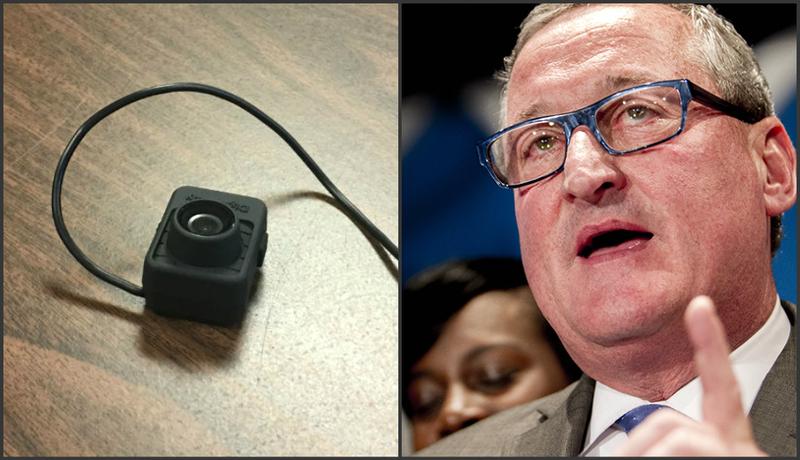 Mayor Jim Kenney is seeking funding for 800 body cameras for the Philadelphia Police Department. The move was announced during on interview on 900-AM WURD. Presumably, the cameras would be worn by Philadelphia Police Officers. The camera footage could then be used in trial to clarify, cast doubt on, or question police version of events. This move is a critical step in the right direction. One of the biggest issues in any criminal trial is police credibility. While not always attacked directly, it is the elephant in the room that judges don’t want to address. Body cameras would give defense attorneys an entirely different avenue to build their case, and would corroborate stories made by defendants who assert police reports and other written documents are inaccurate. According to Wikipedia, the PPD employs over 6,600 officers 800 civilian personnel. The mayor’s police should be implemented office wide. The cameras may also deter inappropriate police behavior. They would be subject to more scrutinizing review. This would improve the quality of policing generally. It would also protect the police from false claims. The cameras should become a new standard in the PPD. The mayor’s only shortcoming is that he did not order 6,600. It is time to make this new policy the law of the land. If you have been charged with a crime, contact the Law Office of Mark D. Copoulos. If the police were wearing body cameras, we could subpoena that evidence if it will help your case. Don’t hesitate. Call now: 267-535-9776. The PhillyMag article that broke this story can be viewed here.